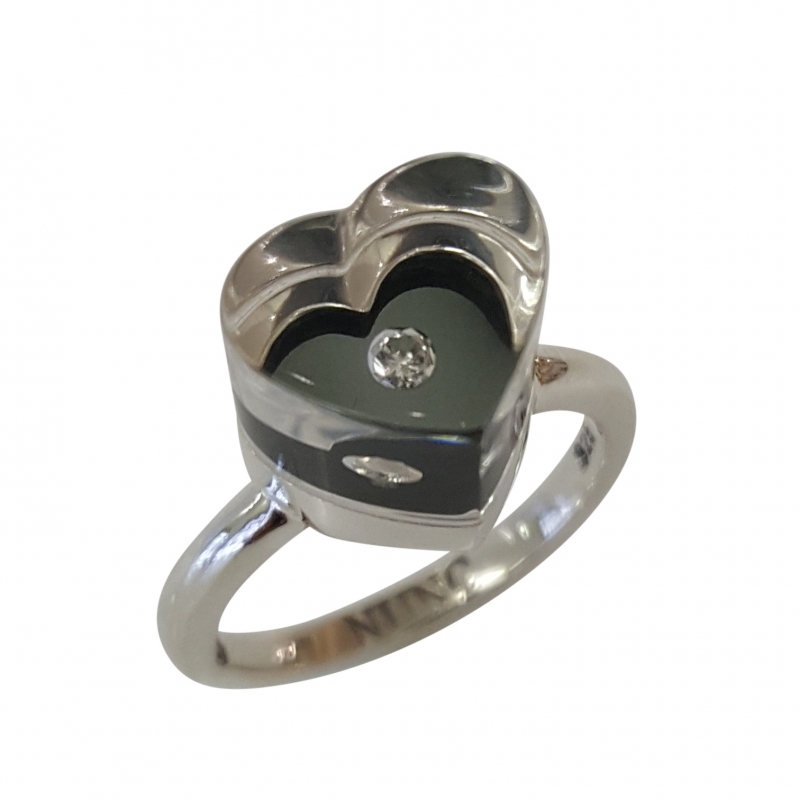 0.05 ct IJ/SI round brilliant cut diamond, encased in heart shaped resin top, and set on a thin silver band. Inspired by a love for life and being part of someone's special moments. Available in brass , bronze , silver , gold or platinum . All rings are made to custom order . All finger size available . Available in all colors. Custom orders for unique resin colors or ring sizes other than listed are welcomed by the artists, Please contact sales@eclecticartisans.com to enquire. Measurements 9 mm top width, 2 mm band width, 10 mm top height (depending on the diamond size). Material(s) Resin and diamond set in your choice of platinum, 18ct yellow gold, silver, brass, or bronze.